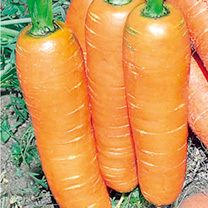 Good resistance to carrot fly makes this an easy-to-grow carrot. And the roots are simply delicious! Award of Garden Merit winner. 110 days from sowing to harvest to help with your selection (this is based on Toby's trials and may vary). Full growing instructions given on packet. Row 6m (20') or more. Sow thinly to minimise thinning (which can attract carrot root fly). HEALTH BENEFITS: Very high in vitamin A. COOKING HINTS: The availability of nutrients is actually increased with cooking - as long as not overdone. 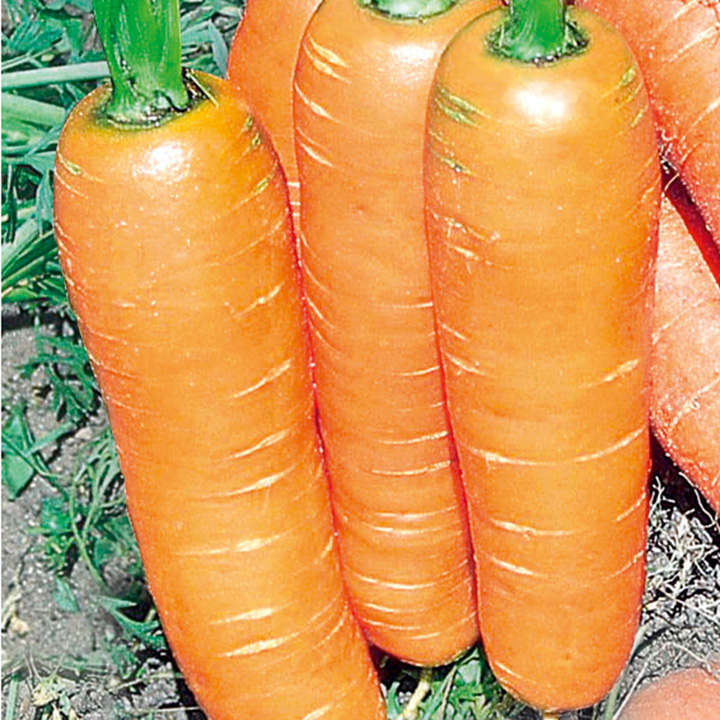 Shop-bought carrots may sometimes contain pesticide residues - so grow your own!